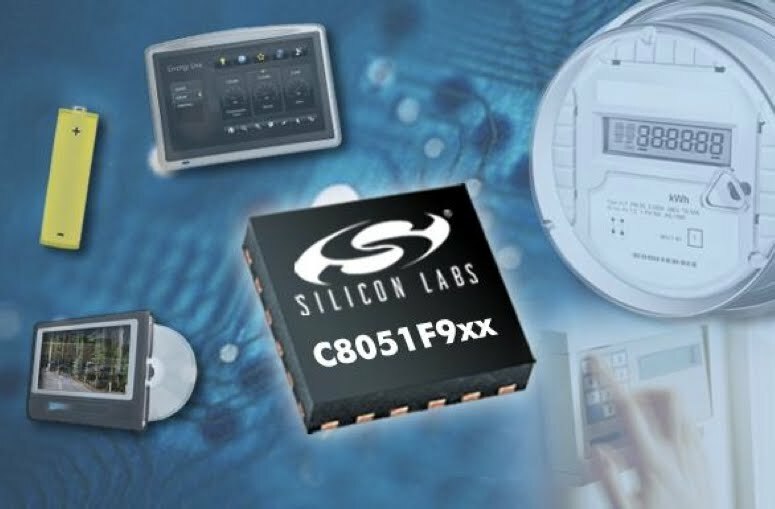 Lower power during active and sleeps modes, as well as awake-with-touch sensing, claimed by this Silicon Laboratories microcontroller family. Look for longer battery life in mobile devices using touch interfaces by the end of the year. R.C.J. 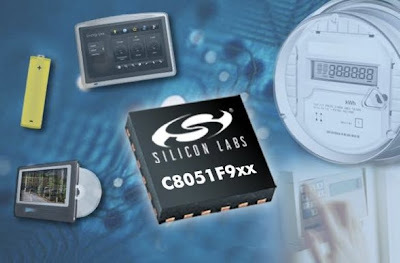 Silicon Laboratories Inc. (Austin, Texas) claims to have broken its own record for the industry's lowest power touch-sense microcontrollers with its new F9xx family, promising to extend the battery life of mobile devices at a lower cost than for previous entries...Maintaining a 150-microamp/MHz operation (down from the previous record of 160 microamps) by virtue of an integrated low-dropout (LDO) regulator, the new family also claims to offer the industry's lowest power in both active and sleep modes, as well as enabling touch-to-awaken functions. The microcontrollers can manage 14 touch-sensitive user interfaces on consumer and industrial devices, ranging from home appliances to smart meters, security systems, lighting, games and toys. Pirates and trial-users are treated the same by this stealth software that tracks apps and "phones home" to report usage patterns to V.i. Labs. Look for more applications to report your uses of their software with the aim of selling you a license (and if you don't buy one, shutting down your unlicensed copy). R.C.J. Invensense MEMS chips have been shipping in millions of units per month to makers like #Nintendo for its #Wii and future prospects are even brighter, prompting the company to plan an initial public offering (IPO) of stock. Look for Invensense stock to keep rising over the rest of the decade. R.C.J. IBM Microelectronics is pioneering "tunable MEMS" for the ultra-small cell phones of the future, by downsing the radio to a single chip in deal with WiSpry. Look for smaller, cheaper lower power cell phones as result of the IBM/WiSpry alliance by Christmas. R.C.J. 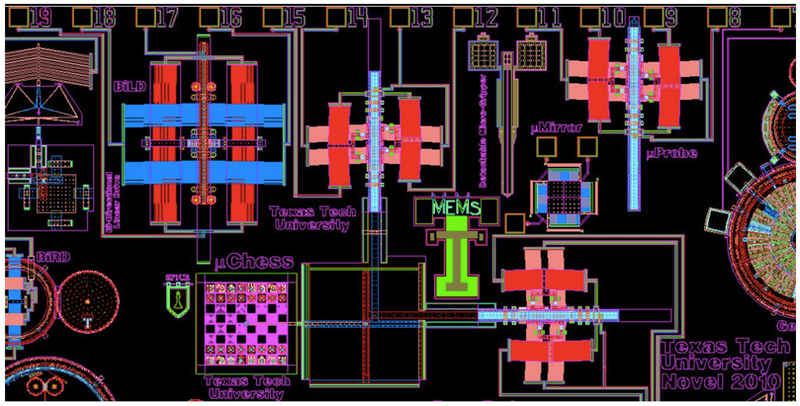 The dream of a MEMS system-on-a-chip RF front-end for wireless mobile handsets is being realized by the collaborative efforts of startup WiSpry and IBM Microelectronics. Fabless MEMS chip company WiSpry Inc. (Irvine, Calif.) has inked a joint development deal with IBM Microelectronics under which IBM will manufacture its single-chip tunable radio frequency (RF) front-ends for mobile handsets, which WiSpry will market to tier-one original equipment manufacturers (OEMs). The first of these customers is due to be before the end of 2010. 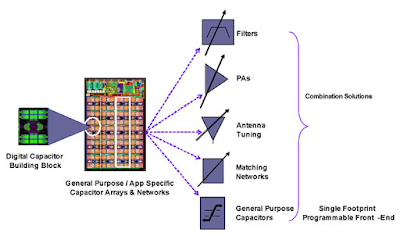 The key to WiSpry's competitive advantage is its tunable impedance matching MEMS technology that uses arrays of switchable capacitive devices that can be quickly switched in and out to quickly provide over 3-dB of link resilience by adapting to changes in frequency, antenna conditions (such as being touched by the user) and other ongoing operational conditions, thereby preventing dropped calls and improving realtime performance — more "bars" on the cell phone display. Today's 3G multi-mode, multi-band mobile wireless devices and tomorrow's 4G LTE terminals and infrastructure equipment both require dozens of internal RF front-end components, only a few of which are used for any one time. By going to a single tunable RF front-end, many of these redundant components can be eliminated, enabling a drastically smaller form factor as well as reducing the bill-of-materials for devices. Micro-electro-mechanical systems (MEMS) prizes were awarded to Texas Tech and the University of of Utah in Sandia Natl. Lab microdevice competition. Look for more novel MEMS devices to emerge for applications ranging from "soup to nuts" over the rest of the decade. R.C.J. 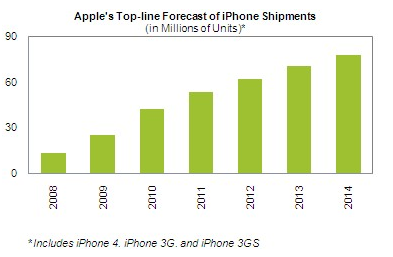 Will #iPhone 4 Supply Chain Woes Drive #Apple Users Away? Apple has not been able to deliver enough iPhone 4's to satisfy demand, plus early reports claim reception is worse than with previous model. Look for frustrated users to start turning to alternative Android models if Apple doesn't correct the problems soon. R.C.J. Consumer electronics is on the brink of a "smart devices revolution" according to the consumer electronics panel members at last week's Freescale Technology Forum (FTF). Look for touchscreen tablets, smartbooks and unique new wearable form factors to hail a new content-consuming category by Christmas. R.C.J. Concept designs from Freescale (bottom) and Nokia (top, green) portend a coming flood of smart tablets and oddball shaped consumer devices conceived "outside the rectangle." Micro-electro-mechanical system (MEMS) radio-frequency (RF) chips to enable ring-sized cell phones thanks to collaboration between IBM and startup WiSpry. Look for smaller, cheaper, longer batter lived mobile handsets by Christmas. R.C.J. 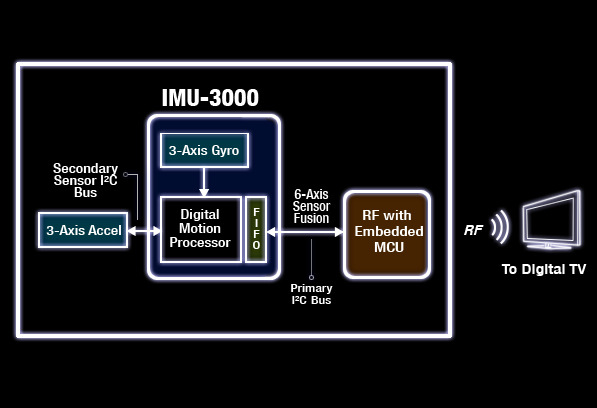 The dream of a MEMS system-on-a-chip RF front-end for wireless mobile handsets is being realized by the collaborative efforts of startup WiSpry and IBM Microelectronics. Fabless MEMS chip company WiSpry Inc. (Irvine, Calif.) has inked a joint development deal with IBM Microelectronics under which IBM will manufacture its single-chip tunable radio frequency (RF) front-ends for mobile handsets, which both companies will market to tier-one original equipment manufacturers (OEMs). The first of these customers is due to be before the end of 2010. The key to WiSpry's competitive advantage is its tunable impedance matching MEMS technology that uses arrays of switchable capacitive devices that can be quickly switched in and out to quickly provide over 3-dB of link resilience by adapting to changes in frequency, antenna conditions (such as being touched by the user) and other ongoing operational conditions, thereby preventing dropped calls and improving realtime performance — more "bars" on the cell phone display. Today's 3G multi-mode, multi-band mobile wireless devices and tomorrow's 4G LTE terminals and infrastructure equipment both require dozens of internal RF front-end components, only a few of which are used for any one time. By going to a single tunable RF front-end, many of these redundant components can be eliminated, enabling a drastically smaller form factor as well as reducing the bill-of-materials for devices. While clones of iPad flood the market, the smart money is betting on differentiated media tablets that serve markets #Apple is missing. 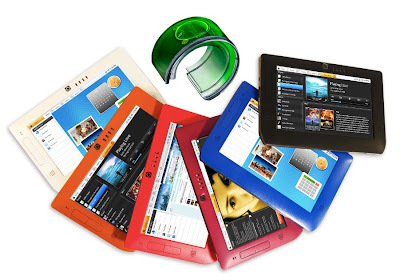 Look for dozens of different types of media tablets aimed at consumer, rather than creating, multi-media content over the next three years. R.C.J. Whatever you prefer to call the newest category of portables-smartbooks, media tablets, iPad clones or touchscreen tablets-the astounding popularity of these devices speaks to the societal sea change under way in how we use computers and consume content. Yesterday's monolithic herd of passive TV-watching couch potatoes has splintered into diverse but intricately interconnected communities of mobile interactive-content consumers. 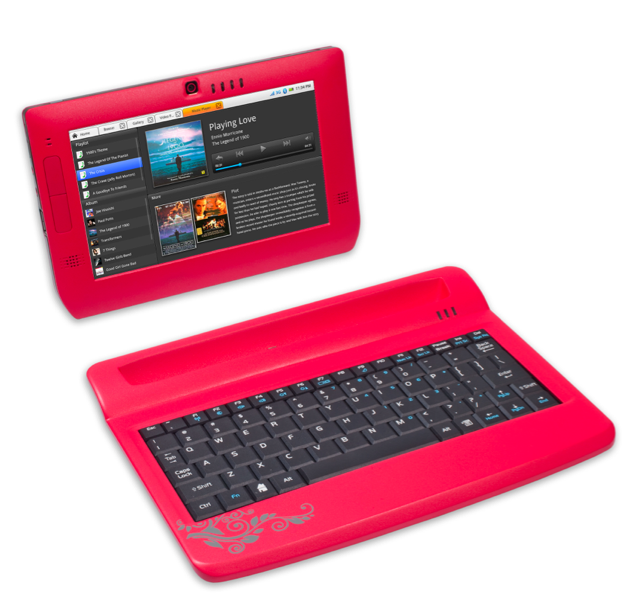 Their voracious appetite for new media perfectly matches the tablet form factor and the touch interface that defines this rising computer class, which inhabits the space between the netbook and the smartphone. A basestation on-a-chip would enable the ultra small #femto-cell revolution that carriers are talking about to fill in spots in rural areas, among other uses. Look for all the major players with mixed-signal processes to be announcing basestation on-a-chip plans by 2011. R.C.J. Freescale Semiconductor plans to best its embedded communications competitors not just by depending on raw computing speed for its processors but by reaching the higher integration levels needed to put a "basestation on a chip," according to Lisa Su, senior vice president and general manager for networking and multimedia. Speaking at the recent Freescale Technology Forum (FTF), held June 21-24 in Orlando, Fla., Su claimed Freescale had already captured the market share lead in embedded communications processors, at 25.6 percent, putting it just ahead of Intel Corp., which recently pledged a renewed effort to increase its embedded market share. The next generation of car automation will combine passive microelectromechanical systems (MEMS) sensors with active actuators that will increasingly "drive" cars in hazardous situations to avoid accidents, experts said. Look for active safety systems to increasingly take on tough driving conditions on the way to driverless vehicles by the end of the decade. R.C.J. According to panelists at a Freescale event in Orlando, Fla., this week, most drivers want to retain control of their vehicle despite the success of current traction control systems that compensate for certain driver-errors during skids. As a result, fully autonomous navigation systems won't appear anytime soon for two reasons: drivers need to know that they are in control and unsolved methods for transferring control back to the driver after an incident. 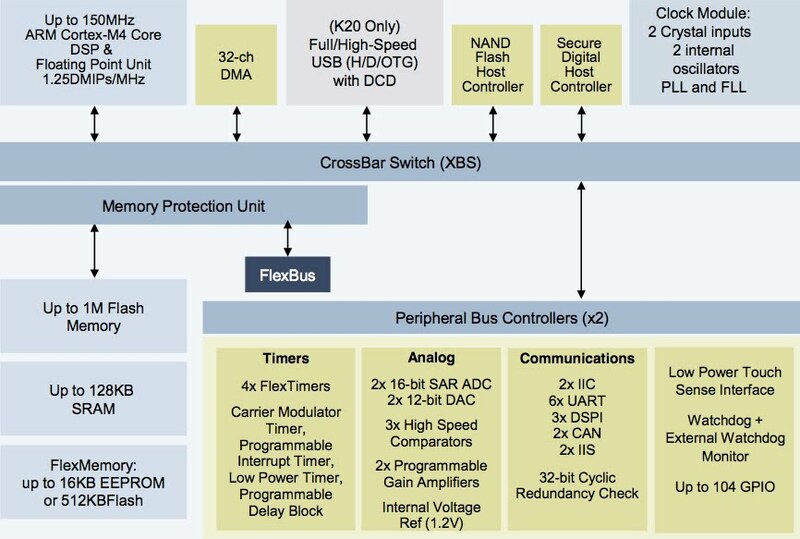 The short-term solution, according to Freescale's Demetre Kondylis, is zero-tolerance for common failure modes that could defeat mandated redundancy in automotive systems. This can be accomplished by embracing the convergence of passive sensing and active actuation of responses in future safety systems designed to prevent accidents. 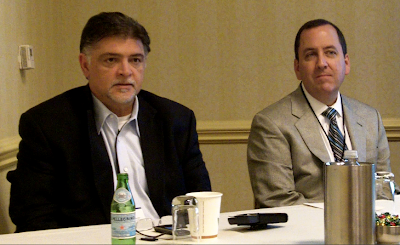 Smart grid infrastructure will take a decade to build out, but the result will be transparent energy efficiency that does not require consumers to learn complex management techniques, according to panelist here at the Freescale Technology Forum. Look for coordinated smart grid efforts from utilities, smart meter makers and electric appliance makers--including electric cars--over the rest of the decade. R.C.J. 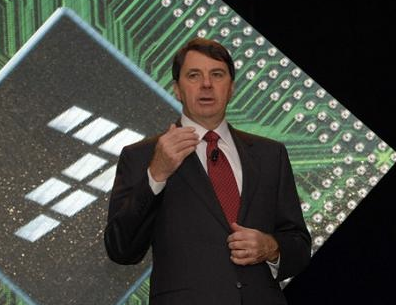 Freescale Semiconductor Inc. revealed its vision of the future of semiconductor technology at the Freescale Technology Forum Tuesday (June 22), where CEO Richard Beyer predicted that the recession will continue to fade by virtue of the commercial success of what he called "connected intelligence." According to Beyer, new capabilities in device-to-device and device-to-infrastructure connectivity are offering new types of services and entertainment that add up to connected intelligence, which he claimed will continue to help pull the world out of the current recession. Freescale's Power QuIC processors are already deployed in "virtually every wireless basestation today," Beyer said, enabling a wider variety of Internet and cloud based services which Beyer said is the future of mobile wireless computing. But the wireless user devices themselves are the main driver of recession mitigation. Fusing the output of multiple MEMS sensors, such as is done by the new Apple iPhone 4, wastes application processor cycles managing their coordination, but Freescale's new "smart MEMS" has its own microcontroller, resulting in streamlined designs for smaller, faster devices. Look for accelerometers to be used together with an MEMS gyroscope to achieve ultra-precise motion tracking for 3-D mice and MotionPlus fuctionality, and barometric pressure sensors to be added for altitude along with a magnetometer, with Freescale's Xtrinsic smart sensor performing the fusion algorithms to perform indoor navigation tasks by Christmas. R.C.J. Freescale Semiconductor Inc.'s new Xtrinsic family of smart MEMS sensors combine a 32-bit ColdFire microcontroller with on-chip algorithms for all the common operations like tap, touch, tilt and orientation, thereby streamlining designs and offloading the application processor...The system-in-package combines a ColdFire 32-bit microcontroller die alongside a three-axis MEMS accelerometer die. The same 3-by-3 millimeter package also contains on-chip power management and dual I2C/SPI connectivity buses—one for communicating with the host application processor, and the other for communicating with up to 12 other sensors needed in a design, such as MEMS gyroscopes, pressure sensors, magentometors, or touch sensors. 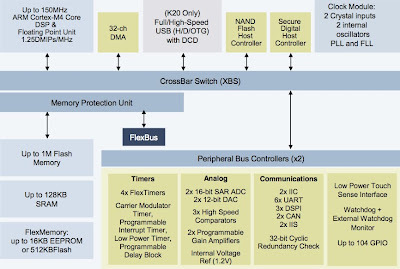 Besides off-loading the application processor in a design from reading out sensor data, the on-chip firmware that is supplied with every Xtrinsic sensor provides many of the common algorithms that would otherwise have to be executed by the application processor, as well as the sensor fusion operations needed to use multiple sensors. On-chip flash can also accommodate custom sensor fusion operations, such as to emulate Wii-like gaming controllers with MotionPlus. World's first ARM Cortex-M4 processor--the fastest, lowest power in existence--will supercharge mobile devices while simultaneously lengthening their battery life. 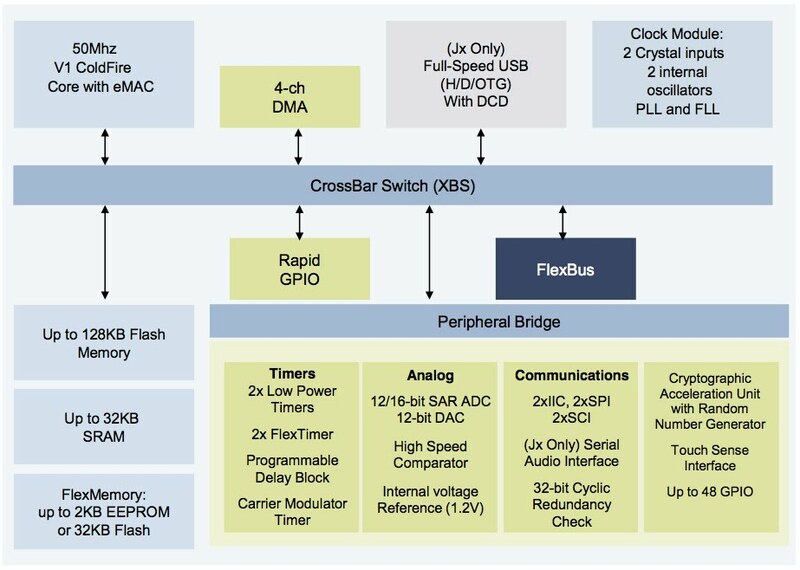 Look for ultra-speedy, ultra-long-battery life using the Freescale's new Kinetis family of ARM microncontrollers before Christmas. R.C.J. Freescale Semiconductor Inc. Tuesday (June 22) introduced a new ARM-based microcontroller family, Kinetis, expanding its push into consumer and industrial markets with a 32-bit reduced instruction set computer architecture licensed from ARM Holdings plc. 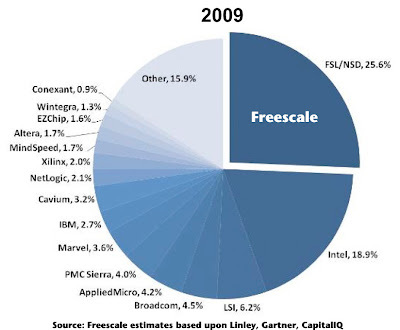 Freescale (Austin, Texas) already has 32-bit microcontrollers using the Power instruction set architecture (ISA) developed with IBM, plus its own low-cost ColdFire+ microcontrollers. 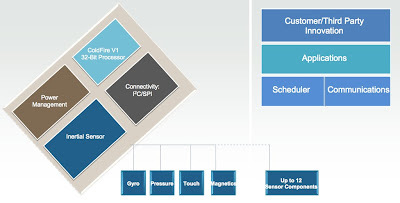 The new microcontroller line is intended to serve original equipment manufacturers (OEMs) standardizing on ARM cores across their applications. One stop software shopping is being offered by IAR Systems for the whole range of Freescale's three lines of microcontrollers. 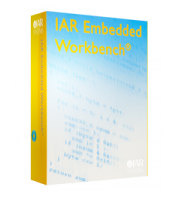 Look for original equipment manufacturers (OEMs) to adopt IAR for its tight integration with Freescale as the new processors become available later this year. R.C.J. Freescale's newest Kinetis, ColfFire and i.MX microcontrollers can now all use a common software development environment from IAR Systems...Now IAR Systems supports all three of Freescale's microcontroller families—Kinetis, ColdFire and i.MX—with a common development platform. 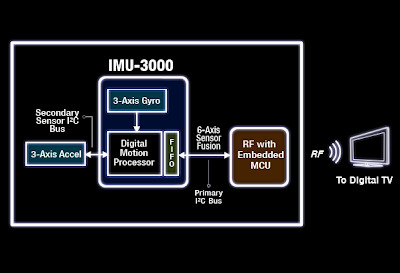 In addition, IAR Systems announced that it has collaborated with Freescale to provide a complete hardware/software development kit for Freescale's iMX multimedia processors. The common software development environment includes full support for Freescale's MQX real-time operating system (RTOS), as well as USB host and device stacks, and a TCP/IP communications stack, according to IAR Systems. The IAR C-Spy Debugger works with the RTOS, making it possible to watch for example tasks, semaphores and mail boxes, according to the company. 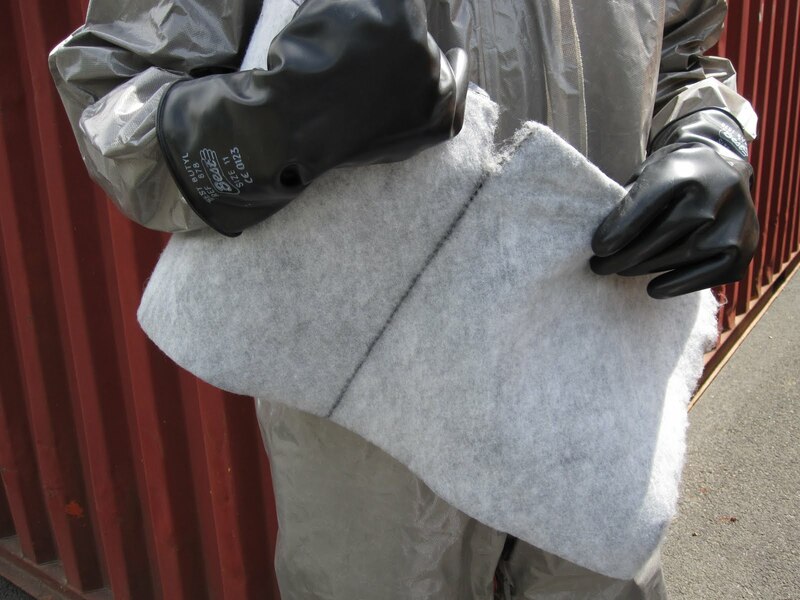 A university researcher advises that Fibertect—an inert decontamination system that is used to neutralize chemical warfare agents—could aid recovery efforts in the BP Deepwater Horizon oil spill. Look for oil companies to get serious with cleanup efforts over the next few weeks. R.C.J. As most everyone around the world is now aware, a recent explosion and fire aboard a British Petroleum (BP) Deepwater Horizon semi-submersible drilling rig off the coast of Louisiana caused the gushing of more than 5,000 barrels of crude oil per day into the Gulf of Mexico. Despite repeated attempts to cap the geyser and stem the flow of oil, BP has so far failed to stop what has now become the worst oil spill in the history of the United States. As a secondary well designed to divert the oil flow is drilled—an endeavor that could take months—efforts are shifting to cleaning up the oil that has already spilled. One material that has already proven itself in the field for the cleanup of toxic chemical warfare agents—called Fibertect—may prove effective in aiding cleanup efforts, according to its inventor, Professor Seshadri Ramkumar at The Institute of Environmental and Human Health (TIEHH) at Texas Tech University. "Organic" semiconductors doesn't mean pesticide-free, but rather that they are made from low-cost plastic instead of expensive silicon, albeit running at speeds a thousands time slower than conventional microchips, at least until now. Look for inexpensive plastic chips to start outperforming expensive silicon chips within 10 years. R.C.J. The new face of online journalism will be revealed by virtue of $2.7 million in awards for the world's most innovative ways to supply web-based news to users worldwide. Look for Tilemapping, DocumentCloud and other new buzzwords to revolutionize news delivery over the next five years. R.C.J. 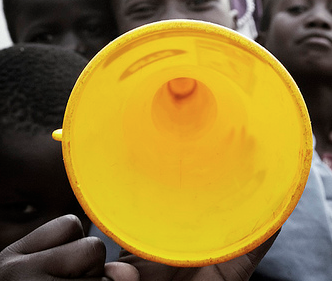 Want more coverage of the World Cup in South Africa instead of those #^%$& vuvuzelas? Tough luck on that one, but Consumer Reports does have a free solution for minimizing their sound. Look for more innovative methods of turing down the volume on vuvuzelas until they are banned. R.C.J. Here's what Consumer Reports says about turning down the volume on vuvuzelas: Despite calls to ban the vuvuzela, the long plastic trumpet blown by thousands of strong-lunged fans at the World Cup games, the racket they make probably isn't going to diminish on TV broadcasts anytime soon. That’s despite complaints about the horns' incessant buzzing from some high-profile players (who can't communicate over the drone), concerns from health experts (who say the loud blaring may affect hearing loss), and claims by World Cup broadcasters that they've stepped up audio filtering to screen out the vuvuzela racket. Nanowires "decorated" with gold could remove dangerous toxins from polluted water. 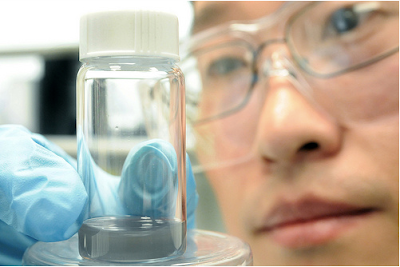 Look for innovative uses of nanotechnology to solve all sorts of pollution problems over the rest of the decade. R.C.J. Here's what Argonne National Labs says about its own discovery: A scientist at the U.S. Department of Energy’s (DOE) Argonne National Laboratory has created visible-light catalysis, using silver chloride nanowires decorated with gold nanoparticles, that may decompose organic molecules in polluted water...Traditional silver chloride photocatalytic properties are restricted to ultraviolet and blue light wavelengths, but with the addition of the gold nanoparticles, they become photocatalytic in visible light. The visible light excites the electrons in the gold nanoparticles and initiates reactions that culminate in charge separation on the silver chloride nanowires. 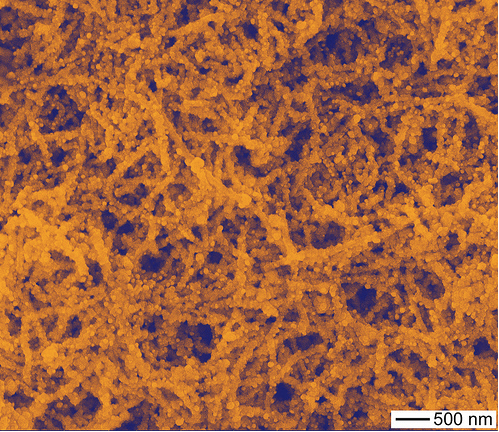 Tests have already shown that gold-decorated nanowires can decompose organic molecules such as methylene blue. Kiss the mouse goodbye as touchscreens grace over a dozen new iPad copycats by the end of 2010, with as many as 50 models slated to debut in 2011. 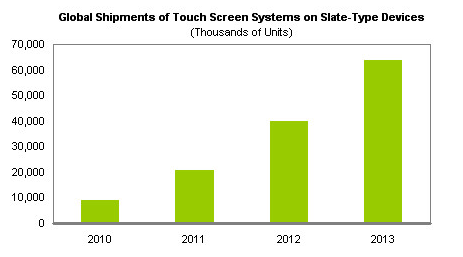 Look for touchscreens to become the standard human interface within three years. R.C.J. The world's first solar powered air conditioner only augments its energy use with free solar energy, but its a step in the right direction. 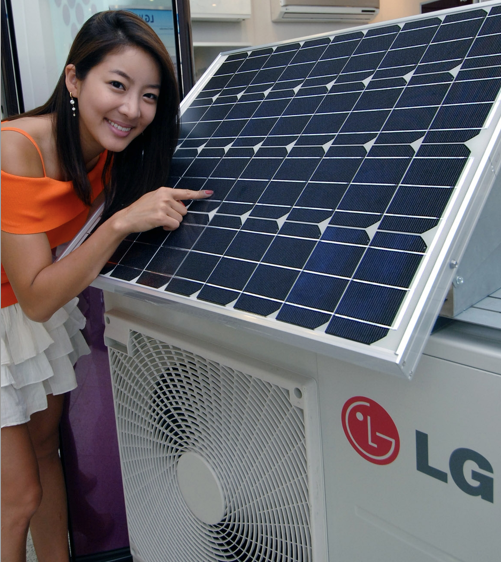 Look for "solar augmentation" to become a buzzword among more outdoor appliances in the next few years. R.C.J. Is you iPad too small? How about 52-inches--is that big enough for you? 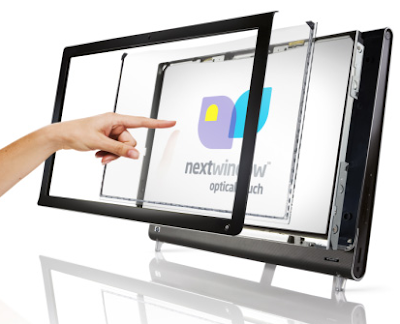 Look for giant touchscreen displays in kiosks and other commercial settings by the end of the year. R.C.J. 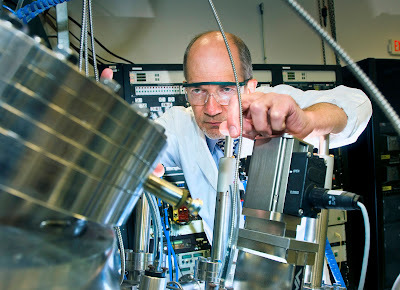 Smarter planet solutions to natural-resource management, energy, transportation and semiconductor devices will be the focus of IBM Research-Brazil, the company's ninth research lab worldwide and its first in South America. Clock jitters giving putting your design on edge? 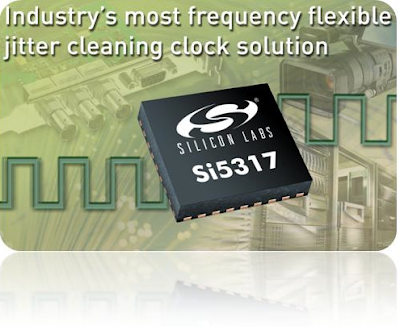 SiliconLabs claims to have the the answer. Look for more lower bit-error-rates and higher signal-to-noise ratio for high-speed telecomm equipment over the next few years. R.C.J. Scientists have discovered a third type of supernova that could explain the universe’s previously puzzling abundance of calcium—which enabled the evolution of life—as well as eliminate at least one reason to hypothesize the existence of dark matter. Look for new theories on the origin of life without the need for dark matter over the next three years. R.C.J. 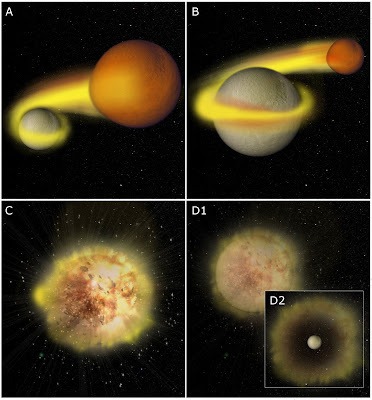 Standard astronomical theory maintains that all the elements heavier than hydrogen and helium were created and dispersed by supernovae of two different types: hot, young giants that explode in a violent display and then collapse under their own weight; and very old, dense, white dwarves that explode in a thermonuclear explosion. Unfortunately, the universe as we know it has many more heavy elements—like the calcium that makes up your body—that cannot be accounted for by those two types of supernovae. Now astronomers at the Weizmann Institute of Science (Israel) claim to have discovered a third type of supernova that could account for the abundance of calcium in the universe—as well as eliminate one reason to postulate "dark matter." 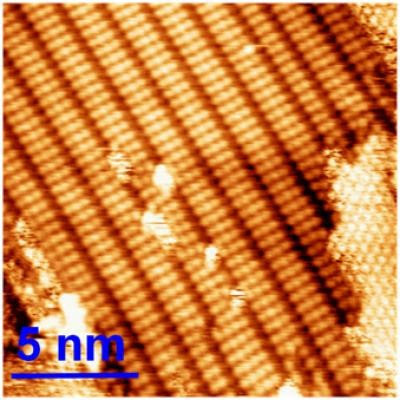 Heat has become the number one problem in advancing semiconductor chips to smaller sizes and higher speeds, but nanotechnology may hold the key to a solution. Look for nano-coatings for heat sinks and other more advanced cooling systems within three years. R.C.J. Superconducting semiconductor chips aim for switching the effect on/off magnetically as a result of cooperative U.S./Israeli researcher. Look for switching superconductor thin-film semiconductor chips by the end of the decade. R.C.J. Superconductors have typically required bulk materials to transform into resistanceless conduction mode when cooled, but researchers have bucked that trend by fabricating thin films of nanowires at Brookhaven National Laboratory in cooperation with Israel's Bar-Ilan University. Once fabricated, the scientists discovered that external magnetic fields could modulate the resistance of their nanowires, opening the future possibility of switching superconductivity on and off magnetically...Application of an externally increasing magnetic field was found to modulate the resistance of the material, instead make a linear change as was expected. As a result, the researchers hope to engineer a new type of superconducting thin film that enables the superconducting effect to be switched on and off magnetically. If you are mainlining data streams and do not want to be throttled by T-Mobile or have to pay at a higher tier with AT&T, consider switching to Sprint which promises not to follow its rivals lead. Look for an exodus of heavy data users to Sprint over the next few months. R.C.J. Here's what the Dow Jones says about throttling: Sprint Nextel Corp. said it doesn't plan to slow down or limit the wireless connection for its high-volume customers, although it would consider suspending the service for mobile broadband plans for excessive use out of the carrier's network. AT&T Inc.'s move to a tiered pricing structure for data, and T-Mobile USA's decision to limit excessive use on its network have many expecting an industry-wide shift to control the amount of data traffic, which has grown fast enough to weigh on the quality of cellphone ..
#Vizio lost the lead in LCD televisions to Samsung, according to iSuppli. Look for Samsung's jump on 3D TVs and LED backlights to keep it in the lead for the foreseeable future. R.C.J. Here's what iSuppli says about its own report: Samsung Electronics Co. Ltd. in the first quarter of 2010 regained the leading position in the U.S. LCD-TV market, as the company capitalized on rising consumer demand for television sets with advanced features, including LED-backlighting, built-in Internet connectivity and 3-D images, according to iSuppli Corp.
Samsung in the first quarter shipped 1.1 million LCD-TV sets in the United States. While this was down 33 percent from the fourth quarter, Samsung actually outperformed the overall U.S. LCD-TV market, which contracted by 35.8 percent sequentially due to seasonal factors. This allowed Samsung to increase its market share to 18 percent in the first quarter, up from 17.3 percent in the fourth quarter, giving it the top position in the U.S. market. Frankenstein--the fable--was fabricated from cast off human body parts, refashioned into living tissues--a dream recently realized with a living retina made from stem cells that could restore sight for up to 10 million Americans. 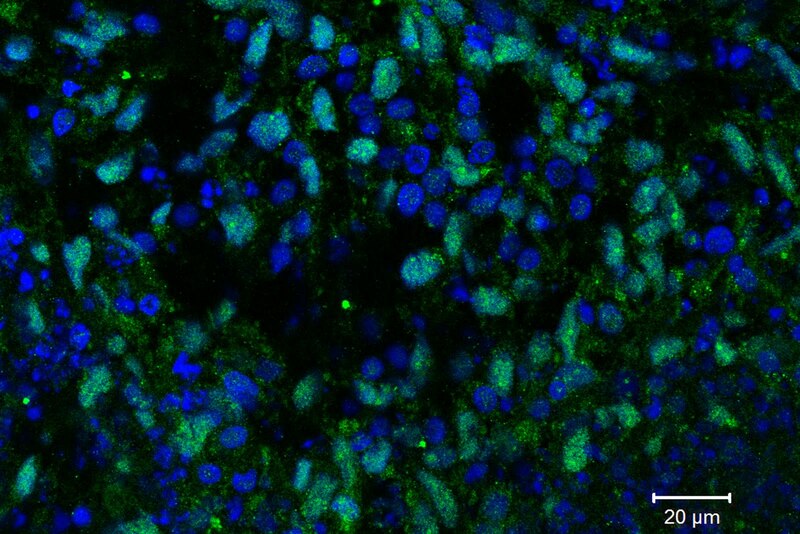 Look for man-made living replacement parts made from embryonic stem cells within 10 years. R.C.J. Micro-electro-mechanical system (MEMS) mavins will have a "Birds of a Feather" meeting on Tuesday, June 15, at DAC. 6:30PM in Room 210AB. 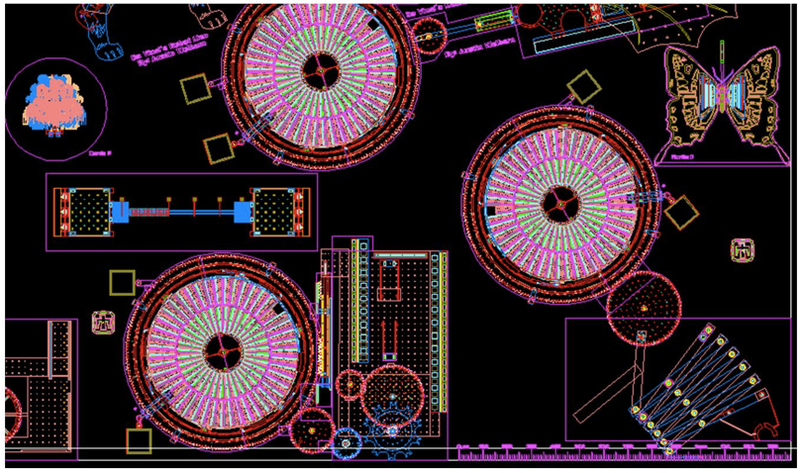 Look for MEMS issues to be raised and discussed at the Design Automation Conference (DAC, Anaheim, Calif., June 13-18). R.C.J. 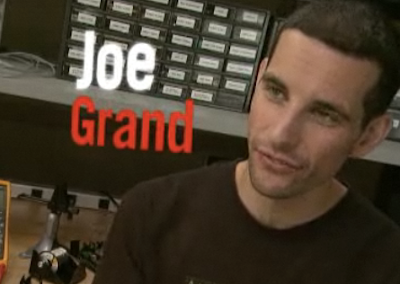 Legendary hacker-turned-entertainer Joe Grand, host of the Discovery Channel's 'Prototype This,' will judge the Tower Throwdown Design Challenge at the Freescale Technology Forum (FTF America). Look for engineers and designers to be burning the midnight oil at FTF America, June 21-24, Orlando). R.C.J. The third most unsolvable problem in IT today--behind cyber insecurity and Internet highjacking--is infections by viruses, worms and other malware. Look for immunization technologies bend on eradicating infectious disease among computers and mobile devices from this National Science Foundation funded effort. R.C.J. The wide proliferation of wireless mobile computing devices like smartphones has increased global networks vulnerability to cyber security violations, according to Florida State University (FSU), which is pursuing an effort to immunize applications with funding from the National Science Foundation (NSF). By differentiating specific instances of application programs with unique executables, the researchers aim to remove the most common lever used by viruses and other malware, effectively immunizing them against spreading infections. Program differentiation is not a new idea, but traditional approaches are problematic, according to Whalley, who is collaborating on the project with fellow FSU professor Gary Tyson. Other attempts at program differentiation have resulted in performance penalties and behavior changes that produce maintenance nightmares, but the FSU professors believe they have the answer. Fullerenes--C60 hollow spheres composed of 60 carbon atoms sometimes called Buckyballs--can be fashioned into two-dimensional organic metals that hold the promise of superconducting. Look for researchers pursuing the goal of superconducting with room-temperature fullerene sheets over the next three years. R.C.J. 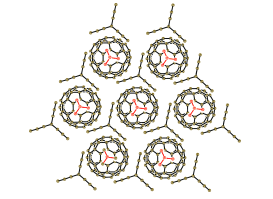 Here is what the team of Russian and Japanese researchers say about their own work: The first metal organic fullerene, (MDABCO +) TPC (C60), with a two-dimensional honeycomb structure of C60 is described. The material consists exclusively of light elements (C, H, N) and acts like a metal down to temperatures of 1.9 K.
Last month I predicted that every smartphone out there will have a gyroscope too by this time next year--iPhone 4 is fulfilling that prophecy--but now I'll go one step further. Look for MEMS accelerometers and gyros to be complemented with barometers for altitude and magnetometers (compass) for heading, enabling pinpoint navigation indoors by 2012. R.C.J. As cell phone makers add gyroscopes to their smarter models to keep pace with human interface trends pioneered by Apple's iPhone 4, market forecasters are upping their predictions on unit sales of MEMS gyroscope chips. Already shipping in millions of units per month for image stabilization in digital cameras, gaming controllers and for 3-D mice, the new cell-phone gyroscope market is predicted become even larger in just a few years. With the iPhone 4 setting the trends in smartphones today, explosive grow in the market for gyroscopes is sure to follow, according to iSuppli Corp. (El Segundo, Calif.), which predicts that competitors will need to keep pace with Apple by adding gyroscopes to their smartphones, too, catapulting the market from zero in 2009 to 285 million units by 2014. Hear about the trends and opportunities for micro-electro-mechanical systems (MEMS) at Microtech 2010. Look for MEMS chips to skyrocket as more and more mobile handheld devices adopt MEMS for enhanced user-interfaces. R.C.J. Here is what MIG says about its panel: Join members of the MEMS supply chain to discuss the trends, challenges and opportunities in getting to high volume in MEMS. 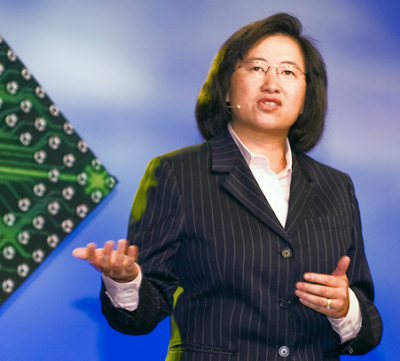 Topics will include: What and where are the links (and chinks) in the MEMS supply chain when moving to high volume? What does it take to move a product from lab to fab? 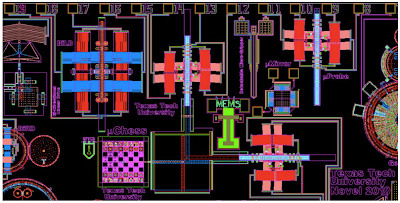 What end applications are driving the MEMS industry? 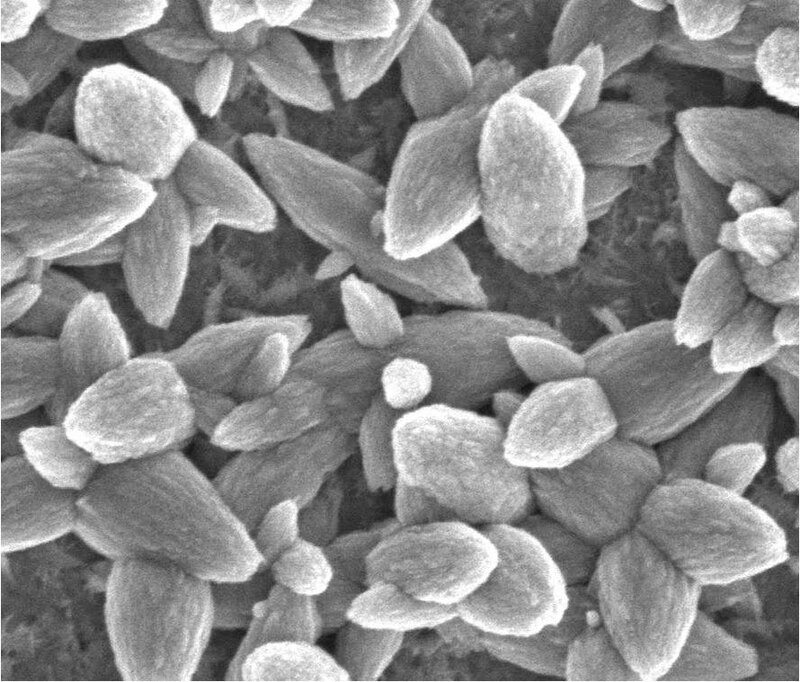 When: June 23, 2010, 3:00-4:30 p.m. PT Where: Microtech Conference & Expo 2010, Room 303 C, Anaheim Convention Center, Anaheim, Calif.
Fullerenes--C60 hollow spheres composed of 60 carbon atoms--fashioned into two-dimensional organic metals hold the promise of superconducting. 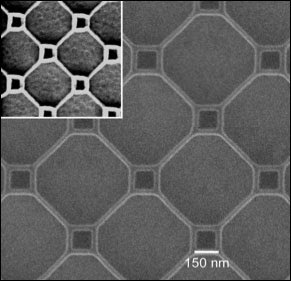 Look for researchers pursuing the goal of superconducting with room-temperature fullerene sheets over the next three years. R.C.J. Joe Grand, host of the Discovery Channel's 'Prototype This,' will judge the Tower Throwdown Design Challenge at the Freescale Technology Forum (FTF America). Look for engineers and designers to be burning the midnight oil at FTF America, June 21-24, Orlando). R.C.J. Scaling down its ColdFire microcontrollers allowed Freescale to improve performance and add features while also lowering its price. Look for mobile devices to get extended battery life and touch-to-awaken convenience by switching to Freescale's ColdFire+ microcontrollers. 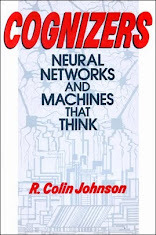 R.C.J. Freescale Semiconductor has capitalized on its unique thin-film storage (TFS) technology for the 90-nanometer node, scaling down its ColdFire processors to the 90-nm node, also—over a four-fold shrink to just five millimeters square for under a dollar. The new ColdFire+ family includes 40 new 32-bit MCUs with ultra-low power requirements for long battery life, integrated analog converters, touch pad sensing, display support, cyber security accelerators and TFS that can be configured as either flash or EEPROM. FlexMemory is nonvolatile storage based on Freescale's nanocrystalline thin-film floating gate memory cells that enable write speeds as fast as 100 microseconds and up to 4.4 million write/erase cycles over the full voltage range of 1.71-to-3.6 volts. Freescale also claims its power consumption is the lowest in the industry at 150 microAmps per MHz, with stop currents under 500 nanoamps and wake-up times under four microseconds from 10 different low-power modes. When the touchpad sensing capability is used, the ColdFire+ processors can be awakened with a touch even from the lowest power modes in just four microseconds, which appears instantaneous to mobile device users yet extends battery life.